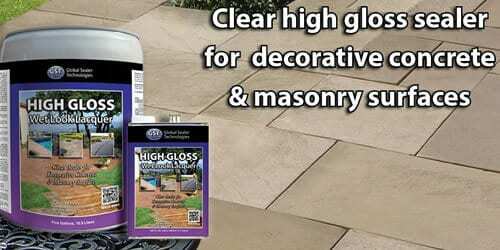 Global Sealer Technologies is a leader in the development and manufacture of innovative and advanced chemical products for the enhancement, protection and maintenance of all concrete, masonry and natural stone surfaces. 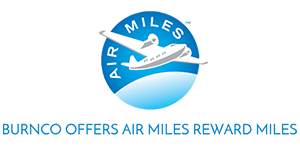 Their professional staff have a combined industry experience of over 100 years, from laboratory design to field application. GST continue to provide the marketplace with cost effective solutions for the construction industry, as well as for maintenance and restoration, with unparalleled knowledge and technical support. Global Sealer Technologies is dedicated to serving the customers’ needs through education and the development of the latest technologies for the advancement of our product lines. 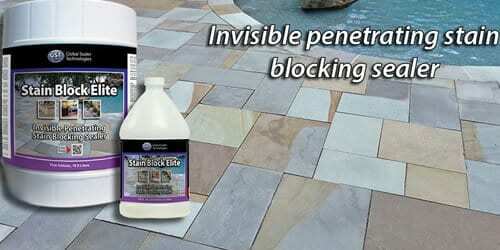 GST International Water Block is a invisible water base penetrating sealer, that to provides water repellency and reduce water absorption to a wide variety of porous surfaces. 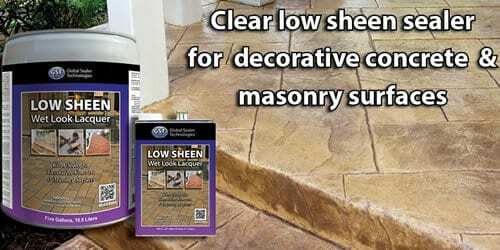 Removes cement scale, rust, hard water deposits and efflorescence. 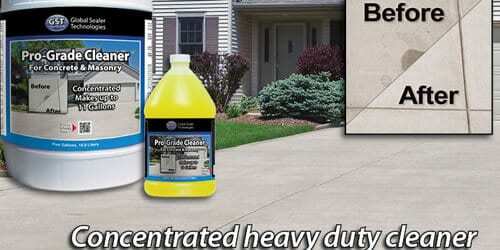 Clean Concrete is a fast-acting, biodegradable organic acids salts cleaner. 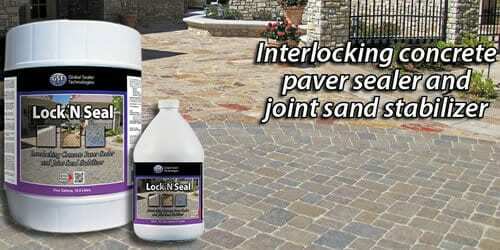 Designed specifically as a “penetrating” sealer for interlocking paving stone installations, providing a flexible, water resistance, bond that inhibits potential water damage to the joints and therefore the paver system. Wet Look Lacquer LS is a solvent based, low sheen, crystal clear, deep penetrating barrier coating for decorative concrete, stone, natural and man made masonry surfaces. 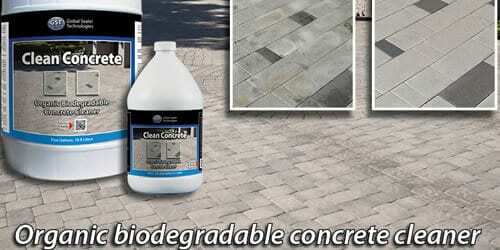 Pro-Grade Cleaner is a complete heavy-duty concrete and masonry cleaner and is designed specifically to clean dirt, grime, food, beverage and oil stains from interlocking concrete paving stones. Wet Look Lacquer High Gloss provides a damp-wet appearance which enhances and beautifies the natural color of the applied masonry surface. Wet Look Lacquer LS provides a “damp-wet” appearance which enhances and beautifies the natural color of the applied masonry surface. 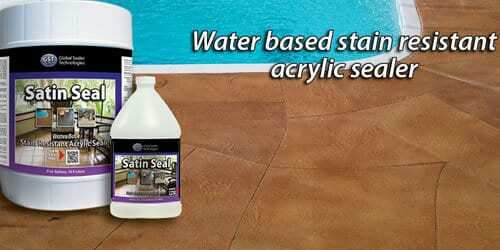 Satin Seal is a state-of-the-art water based acrylic sealer with a satin sheen finish designed to enhance the natural colors of the applied surface. 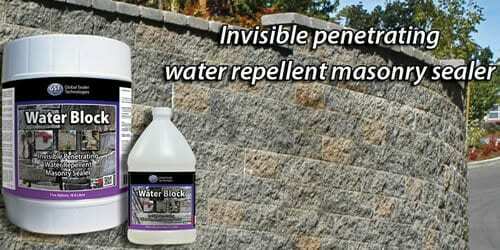 GST International's Stain Block Elite masonry sealer is a state of the art water and stain resistant penetrating sealer specifically designed for dense concrete, brick and masonry surfaces.